Back in March, the kids and I got to do some fun, holiday related science experiments thanks to Steve Spangler. Leprechauns and the color green were the focus as St. Patrick’s Day approached. We turned roses the color of Ireland and shined coins with taco sauce. 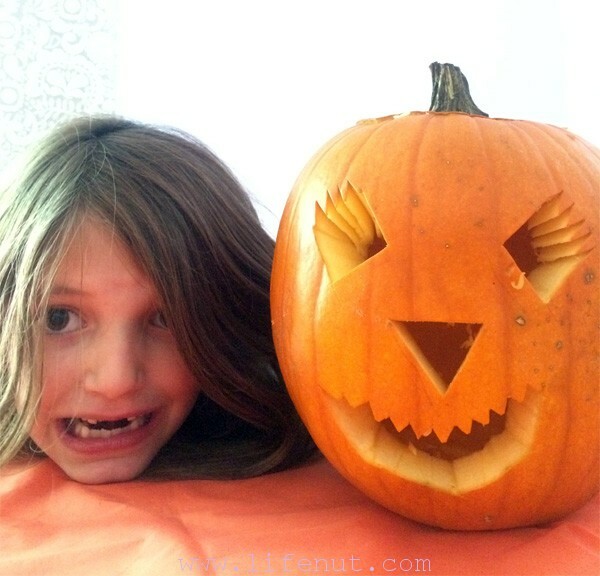 It was a lot of fun making some new discoveries with the kids, so when we were given the chance to check out Halloween-themed experiments, we said yep! 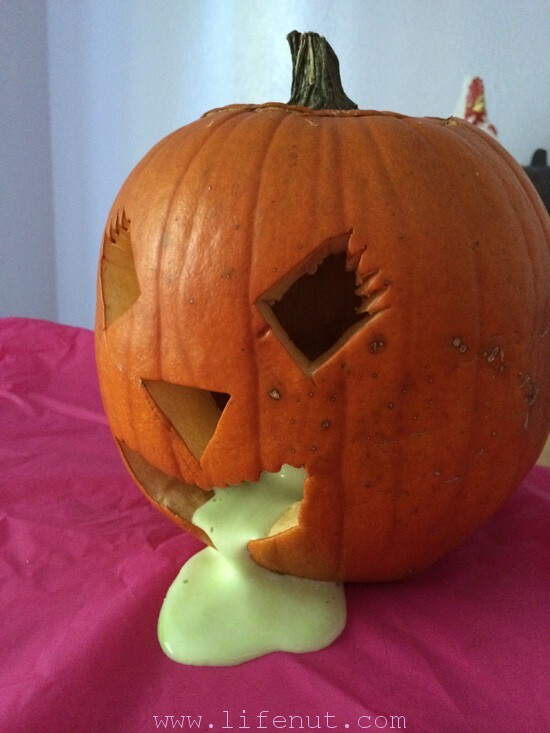 I downloaded Steve Spangler’s Halloween Science Experiment Guide. It’s packed with 15 activities and experiments to help you get your boo on. There’s a companion kit which includes many of the supplies you’ll need to conduct the experiments. 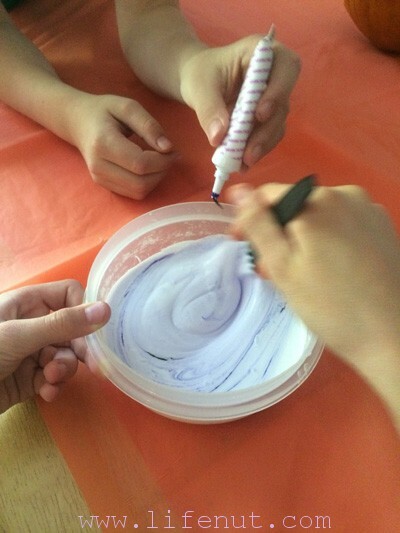 However, several of the activities use items you have around your house like soap, food coloring, and glue. We did three experiments. The only purchases I had to make were for dry ice, high-strength hydrogen peroxide (from a beauty supply store), and a pumpkin. 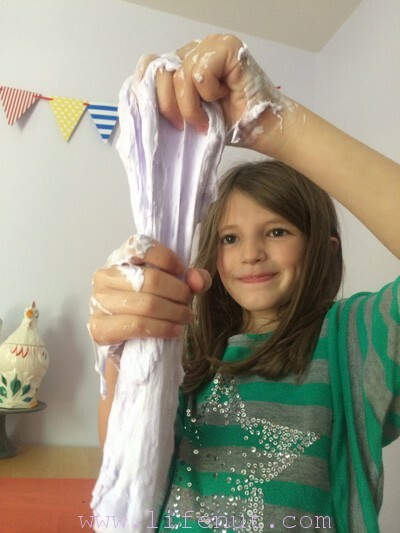 The first activity was making Ultimate Gooey Slime. The kids chose to make it purple, but regretted it when they saw how awesome it would have been green. It was simple and safe enough for the kids to make with me just standing there. They did the mixing and the squishing. She's brave and not at all grossed out by slime! That's my girl! Next, we made two frothy jars of Smoking Bubbles. Everyone loved this! 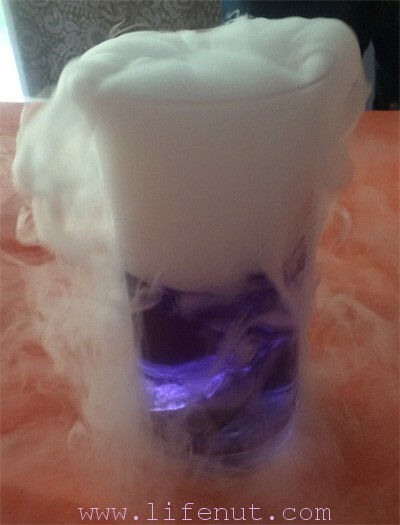 It required dry ice, so adults were in charge. Dry ice is 112 degrees below zero and not a joke. 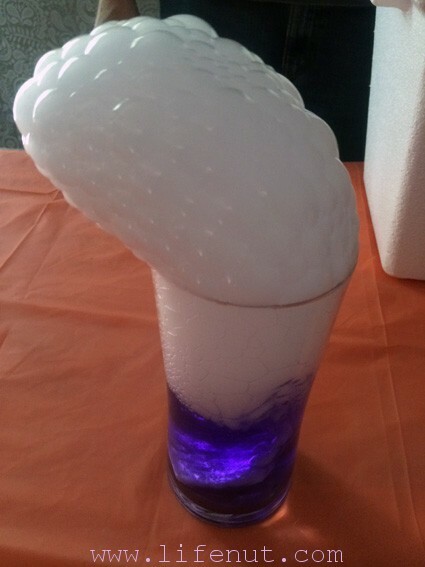 Before purchasing dry ice, we watched this video to learn safe handling practices. There was a lot of oohing and amazement as our whole family flocked to the kitchen table to see what happens when an object goes straight from a solid to a gas—and dish soap is involved. We save the gooey-ist for last. Meet Freddy. Freddy didn’t like the concoction of household chemicals plus yeast we put in his belly. Urp! This reaction wasn’t as dramatic as I expected, but that might be because I had creme hydrogen peroxide instead of liquid. But, still. Grody, dude. If you’d like to have some seasonal fun and learn about science with your kids at home, I recommend checking out Steve Spangler’s website and his downloadable guides. You can find one for almost every holiday. There are great videos to watch, too, with easy-to-follow experiments. 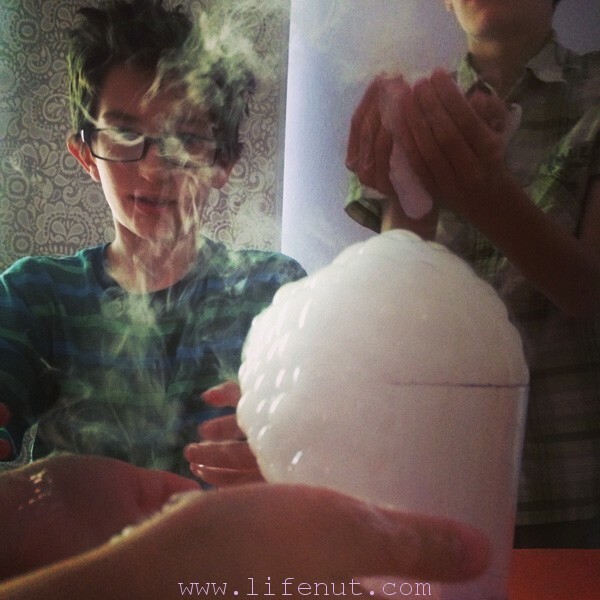 We did the dry ice + dish soap experiment and LOVED it! My son played in it for almost an hour. Next on our list is gooey slime. Good to know that green is the right color. Thanks for sharing!